Your baby is still packing on the pounds – at the rate of about an ounce a day. 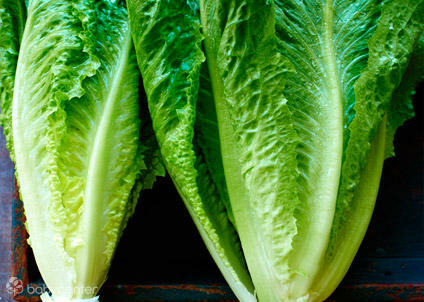 She now weighs almost 6 pounds and is more than 18 1/2 inches long (about the length of a head of romaine lettuce). She’s shedding most of the downy covering of hair that covered her body, as well as the vernix caseosa, the waxy substance that covered and protected her skin during her nine-month amniotic bath. Your baby swallows both of these substances, along with other secretions, resulting in a blackish mixture called meconium that will form the contents of her first bowel movements. 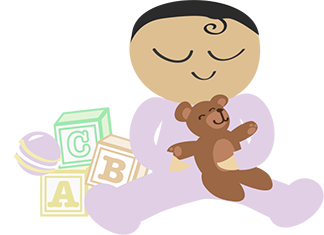 At the end of this week, your baby will be considered “early term.” (Full term is 39 to 40 weeks. Babies born before 37 weeks are preterm, 41 weeks is late term, and those born after 42 are post-term.) Most likely your baby is already head-down. But if not, your doctor or midwife may suggest scheduling an external cephalic version. That’s a fancy way of saying that your healthcare provider will apply pressure to your abdomen to try to manipulate your baby into a head-down position. Now that your baby is taking up so much room, you may have trouble eating a normal-size meal. Smaller, more frequent meals are often easier to handle at this point. On the other hand, you may have less heartburn and have an easier time breathing when your baby starts to “drop” down into your pelvis. This process – called lightening – often happens a few weeks before labor if this is your first baby. (If you’ve given birth before, it probably won’t happen before labor starts.) If your baby drops, you may also feel increased pressure in your lower abdomen, which may make walking increasingly uncomfortable, and you’ll probably find that you have to pee even more frequently. If your baby is very low, you may feel lots of vaginal pressure and discomfort as well. Some women say it feels as though they’re carrying a bowling ball between their legs! You might also notice that your Braxton Hicks contractions are more frequent now. Be sure to review the signs of labor with your doctor or midwife and find out when she wants to hear from you. As a general rule, if you’re full-term, your pregnancy is uncomplicated, and your water hasn’t broken, she’ll probably have you wait to come in until you’ve been having contractions that last for about a minute each, coming every five minutes for an hour. Of course, you’ll want to call right away if you notice a decrease in your baby’s activity or think you’re leaking amniotic fluid, or if you have any vaginal bleeding, fever, a severe or persistent headache, constant abdominal pain, or vision changes. Even if you’re enjoying an uncomplicated pregnancy, it’s best to avoid flying (or any travel far from home) during your final month because you can go into labor at any time. In fact, some airlines won’t let women on board who are due to deliver within 30 days of the flight. The baby is the size of a head of romaine lettuce or a spaghetti squash. Eeeeek ! I gained TEN pounds of fluid weight since my hospitalization last week ! I freaked OUT ! That is a total weight gain of 23 pounds ! I had only gained 13 pounds until last week. I lost 27 pounds my first trimester so I am still under the weight I started at but I do NOT like this weight gain AT ALL ! I am certain that it will fall off after I deliver the baby and also with breast feeding. I spend most of my day in either pjs or a body con dress. I have absolutely NO desire to do anything but shower and put on fresh pjs since I can not really leave the house due to bed rest. I have gone out a few times to pick up breakfast and just put a dress on on top of my pjs. Because I am tending to my mom at night, I am not sleeping well. I wake up because she is talking out of her head , she gets up, or if it is time for her medications. I have been napping during the day somewhat. My baby is pretty active around 1 am too. I have had a pretty boring week ! My mom had surgery on Friday and I am on total bed rest so I have pretty much been on the sofa or in the bed watching tv, drinking fluids and chilling. I have a biophysical exam and sono in the morning in NYC. I see the OB after that. My OB is in Greece until Sunday so I am praying my baby does not try to come out before he is back ! I do the second hospital tour on Sunday in preparation for the birth. I just pray they do not try to keep me after my appt tomorrow ! I am NOT ready and my mother can not travel four hours to NYC right now. She has her post op appointment tomorrow and gets her drains out. There is very little drainage now, which is good. My legs and feet are so swollen that I look like Miss Piggy ! My toes in the left foot are numb most of the time. I have an external hemorrhoid that has not gone down. My baby feels super heavy and I am having sharp pains shooting down into the vaginal area and I have problems getting comfy. I have a definitive waddle when I walk and walking has become uncomfortable due to pressure. I try to stay on the sofa with my feet up. I have no cravings and really no appetite. I have more room now for food now that the baby has dropped down a bit but I still am not hungry most of the time. I have random periods where I am starving. I will start to eat and get uber full quickly, thus I had eating out ! I just have no desire for food at all right now. I am sitting here drinking lemonade and a protein shake. I will likely eat apple cinnamon oatmeal for an afternoon snack. I hope not ! I have a lot of pressure, but that is just a 5 – 6 pound baby and tons of fluid. I had contractions in the hospital after the transvaginal exam and a cervix check and I can say without a doubt, SHOOT ME ! Do NOT let me have ANY contractions at all. That ish is for the BIRDS ! Having normal size legs and feet ! Giving birth to a healthy baby girl in short while ! The doctors have scheduled me cesarean and I am just hoping this baby stays put until then. They have moved our time table up a whole two weeks ! EEEEEEEEk ! I have a low basketball ! The only think I bought this week other than receiving the Milk Snob car seat cover, was a foot bath and Dr. Teal’s foot soak with lavender. I am sending my sister out to get the baby a preemie outfit to wear home in the event that she is as small as they say she is and her other clothing will not fit. 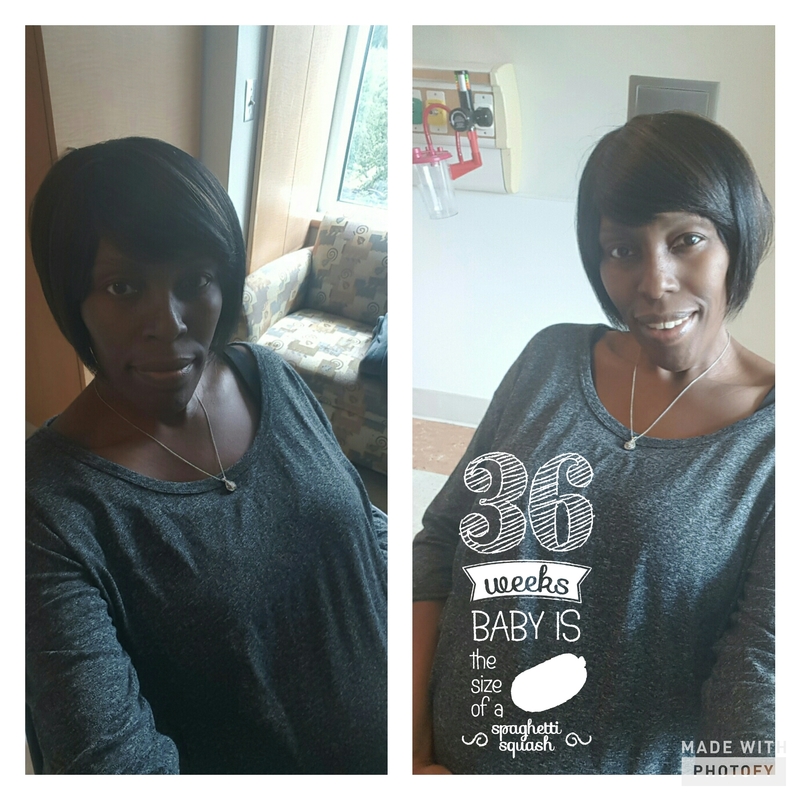 This entry was posted in Donor Egg IVF, Health, Infertility, IVF, Pregnancy, Single Mother By Choice and tagged Black Choice Mom, Black Women, Donor Egg IVF, Donor Eggs, Infertility, IVF, Pregnancy, Single Mother By Choice. Bookmark the permalink.